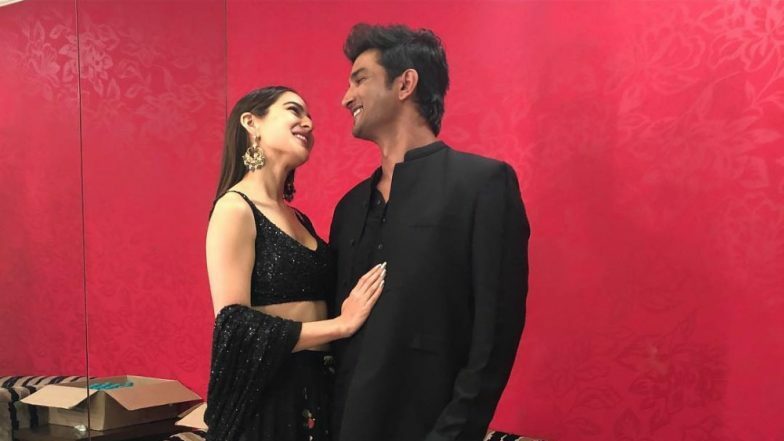 Sara Ali Khan and Sushant Singh Rajput seem to have been bitten by the lovebug! While rumours of their love affair made it to the headlines when their movie Kedarnath was due for a release, it eventually fizzled out because neither of them dropped the smallest hint to confirm it. Also, not to forget how Sara went gaga over Kartik Aaryan dropping major hints about wanting to date him. However, looks like Sara and Sushant never called off their love affair, in the first place. According to a report in SpotboyE.com, the Kedarnath couple seems to have been going stronger than before and in fact, rumour has it that they're all set to make it official real soon! Sara Ali Khan Receives Huge Flak on Sharing Celebratory Post, a Day After Pulwama Terror Attack. Apparently, Sushant makes it a point to drop off Sara at the gym but ensures that he stops the car at a distance so that the paparazzi doesn't spot him. That's how the two have been keeping their relationship under wraps but they're shy no more! Both Sara and Sushant are willing to take the next big step - profess their love to the world! However, we are not sure if that's going to happen any time soon. Why if you may ask? Primarily because, Sara has just made her way into the film industry. She needs time to be a part of it completely. Besides, she needs to focus on the movies more than boys! Secondly, it has been a while since Sushant and Kriti Sanon parted ways and even then SSR never spoke about his love affair with her. So it is unlikely that he'd change his take now. Sara Ali Khan Is Hinting at 'New Beginnings' But It's Not What You're Thinking. Anyway, let's see if either of them prove us wrong and actually share a mushy photo with each other on social media? Or maybe just walk into an event holding hands and leaving everyone's jaw dropped!